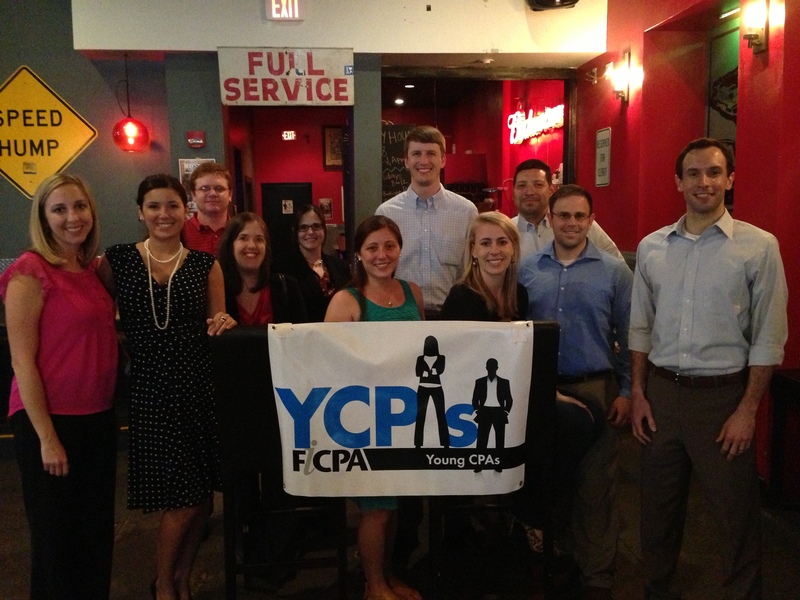 Once again, young CPAs were immersed in the legislative atmosphere that so deeply affects our industry. The fifth annual Accel YCPA Leadership Forum & Capitol Day event, coordinated by the FICPA, was an enthusiastic and informative experience for both newcomers and previous attendees, alike.YCPA members were greeted with a wonderful breakfast at the Tallahassee Center where they received a comprehensive update from Justin Thames, Director of Government Affairs. 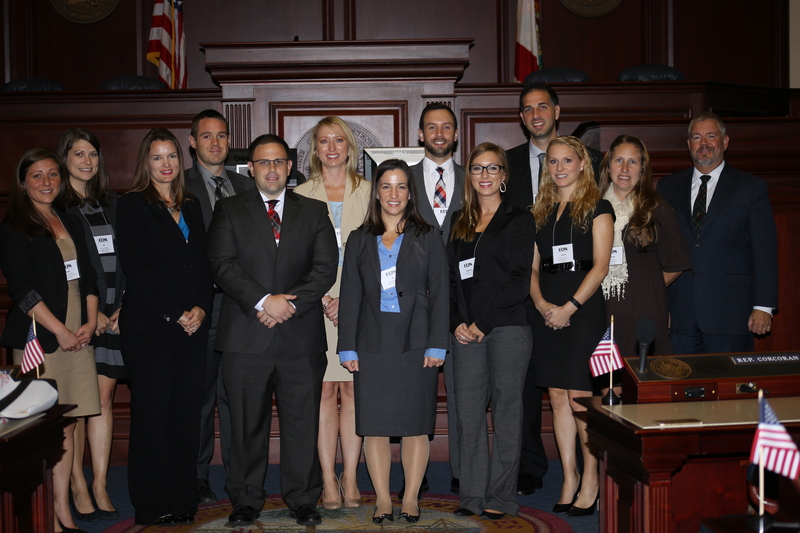 As the FICPA’s in-house lobbyist, Justin was able to articulate the intricacies of why it is so important for CPAs to have a voice in the Florida Legislature. Attendees were also able to meet with the Liberty Partners of Florida: Jennifer Green, Melony Bostic, and Thomas Hobs.Capitol Day continued at the Senate, within a space generously loaned by Senator Bill Monford. Visiting legislatures were able to greet the group and shed light on what happens on the hill; specifically highlighting current politics, how professional accounting contributes to the process, and what led them to their elected roles. Lunchtime presented the opportunity to hear from Reps. Dan Raulerson, David Richardson (House Minority Leader), Ed Norain, and Cyndi Stevenson, each expressing the importance of financial literacy in political decisions. There was also a unified communications of the need for impassioned individuals to continue to run for office and advocate for their own constituents. Senators Darren Soto and Bill Monford echoed similar sentiments, and shared their own personal stories of advocacy and success. An enthusiastic and informative end to the series of introductions was House Majority Leader, Dana Young, who discussed her unique role and bills that she had recently played a role in. The day ended with an exemplary educational presentation from Bob Ward, Clerk of the House, on the process of passing bills within the House. Attendees performed a mock vote, proposing a bill, and then voting to what ended in a very close margin! The grand finale was Bob’s telling of the history of the paintings along the walls of the House. It was a fitting end to a day full of inspiration and excitement. Day two was the FICPA’s Leadership Forum for Young CPAs, which was led by Dan Griffiths, CPA and AICPA 2015 Outstanding Young CPA Award winner. The Forum, held at the Governor’s Club, focused on the importance of positioning for the future and the leveraging of technology. Dan confirmed that the industry is changing at an exponential rate. He helped attendees decipher between hard and soft trends, noting that not all impending changes will actually come to fruition. He noted that change analysis is not only valuable to accounting professionals as a predictive tool, but it is also absolutely necessary. Adaptability is a vital attribute necessary to protecting the professional nature and reliability of our industry, in a climate always ready to find more convenient options. Changes discussed included the trend toward value pricing, social media in business, and the 3-3-1 Coaching model. With constantly increasing complexities in every avenue of business, Dan also stressed importance of finding simplicity among the chaos. He expressed the need for focus and stress management as two key factors for individual success in a high-demand field of expertise. By the end of the two day event, participants had been immersed in, not just industry facts and figures, but a well-painted picture of how professional accountants are pertinent to legislative functions in the state. Combinded with the expertise of Dan Griffiths, we not only had inspirations to move forward, but also the knowledge and tools necessary to predict and prepare for coming trends in our industry. A special thanks to Deborah Curry, Angie Brooke, Vicky Wade, Jan Dobson, Justin Thames and everyone else involved at the FICPA for helping make this event happen. It was a wonderful opportunity and an unforgettable experience.